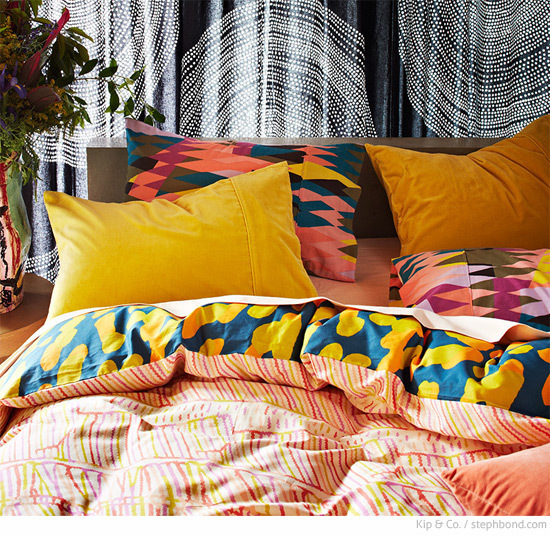 Alperstein Designs, makes beautiful homewares and accessories in collaboration with Aboriginal artists: 1. 2. Fine bone china plate by Judy Watson 3. Oven mitt by Judy Watson 4. Stainless Steel Bottle by Judy Watson 4. Organic cotton tote bag by Ruth Stewart 6. Fold up back pack by Ruth Stewart. You can find these pieces at Antipodean Love, Peter's Of Kensington and Alperstein Designs. Also check out the beautiful rugs by Designer Rugs using the art of Minnie Pwerle in The Atnwengerrp collection. 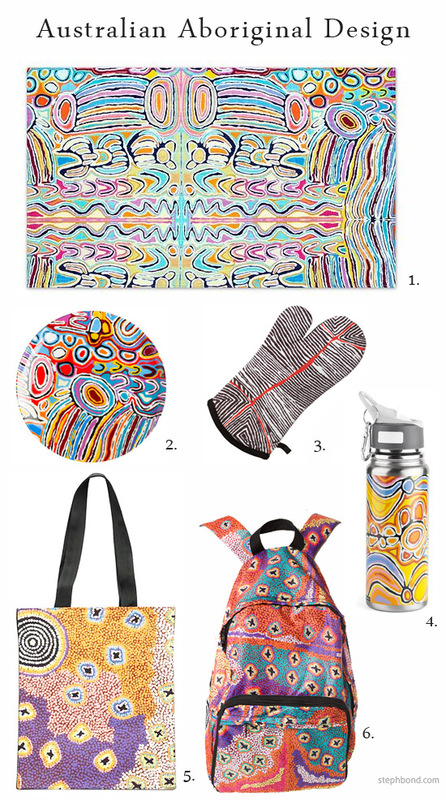 Do you have any favourite Aboriginal designs that you can point me to?